A lot of people have been asking about my weight loss so I decided I would finally blog about it. In November 2013 I got a horrible case of the shingles – sort of like the grown up chicken pox. I learned that the virus is recurrent when you are in situations of high stress, bad diet and generally having a low immune system. Even though it is uncommon to have shingles more than once (1 in 50 get it more than once), It was such a horrifying amount of pain that it made me truly consider what was going into my body. This was the beginning. Thanksgiving Day November, 2013. I was smiling in this picture (far left) but I had the Shingles and was in an immense amount of pain. I had also cut 8+ inches of hair off! Instead of going on a diet I knew I couldn’t maintain, I decided to make a lifestyle change. That means I didn’t completely eliminate anything from my diet but there are things that I drastically cut down. I cut my carb intake to about a quarter of what it used to be. Where I would eat a whole bowl of rice, I now eat one measuring cup. 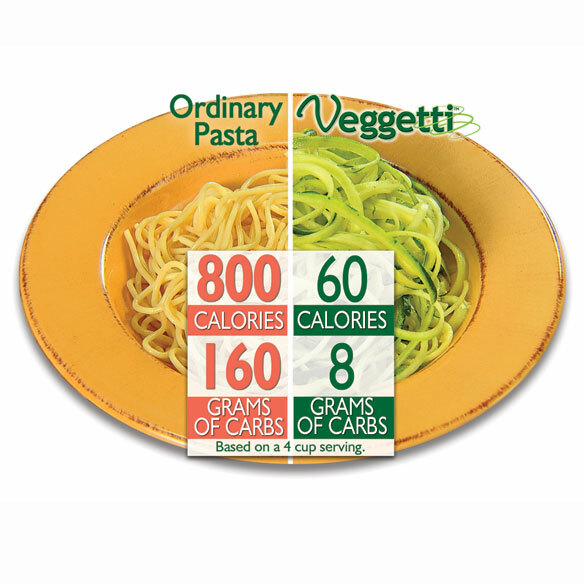 Vegetables need to take up a substantial portion of your plate! This is where all the hidden goodness is. The majority of your meal should be vegetables and proteins! I recently purchased a tool called The Veggettie. 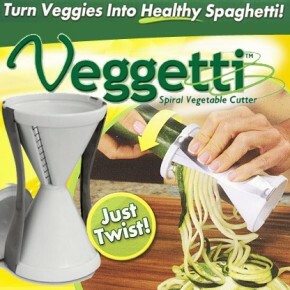 This handy little contraption turns other vegetables like zucchini, squash etc into a spaghetti form to substitute pasta dishes. I’m a snacker. I always have been. I was that kid that always had something in my mouth, be it actual food or not. Ask my sister and brother – even a pushpin will do. I have found that the best thing to snack on in between meals is nuts and dried fruit. These are a delicious substitute to candy, chips, other junk or even eating a meal where you don’t need to. While both of these things are great for you and have wonderful properties, like everything else, you have to eat them in moderation. Dried fruits have a lot of natural sugars and certain nuts like cashews contain a lot of fatty oils. 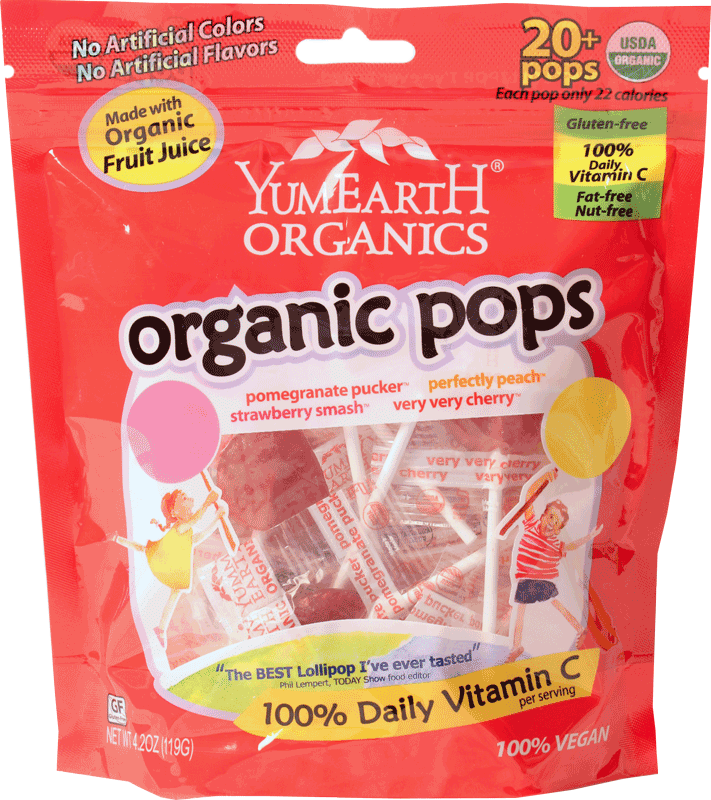 I recently came across some organic candy by a company called Yum Earth Organics. 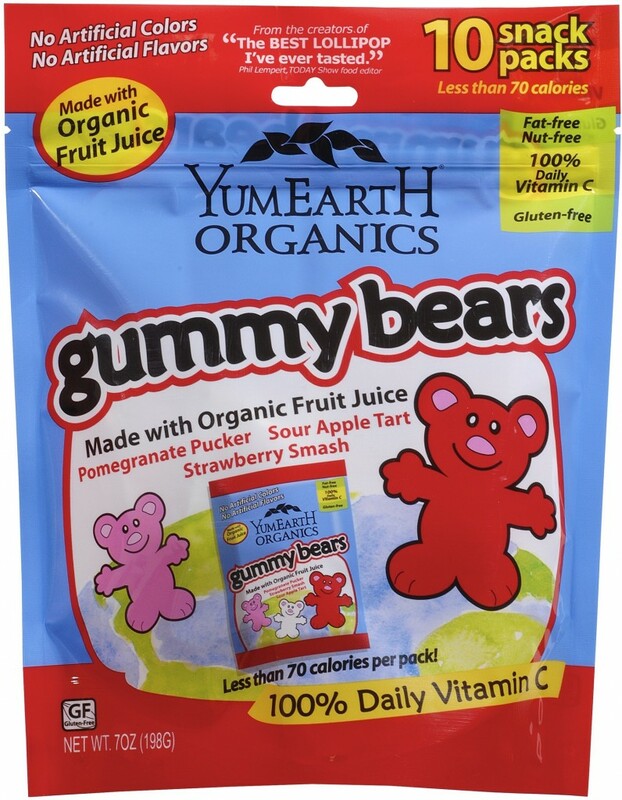 They make a series of candies that are free from artificial coloring, artificial flavoring, gluten free, nut free and contain heaps of vitamin c! 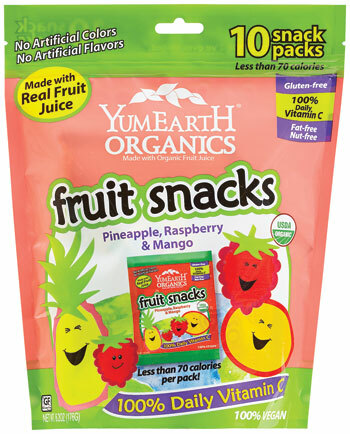 These are a fantastic thing to munch on during the day as they satisfy your need for something sweet, but also carry some type of nutritional value. The best part is their servings are never more than 100 calories! Many other organic candy companies exist it’s just a little bit of research is needed to find them! Here’s a website that carries All natural and organic candies AND delivers internationally. My water intake is terrible. I still have to force my self to drink water today. I can’t stress how important water is to your lifestyle change! Without water everything in your body is stuck. It is essential to cleansing your body and removing all the toxins. Without doing this everything else you are doing is in vein. You must flush your system thoroughly. At first I was drinking about a gallon of water a day – literally. That’s almost 3 times the amount your body needs everyday which means you spend A LOT of time in the bathroom! Be prepared! I know this seems extreme but it’ll make sense as you keep reading! Besides the cleansing factor, water also acts as an appetite suppressant. What most people don’t know is that the majority of the time when you think you are hungry – you aren’t. You are actually just thirsty. If you drink water first you will realize that the hunger either goes away or you aren’t as ravished and therefore don’t eat as much. I would suggest getting some jugs and keeping the water and fruit in your fridge at all times. I use jugs that have diffusers attached to keep everything mess free. The introduction of the colon cleanser was a biggy! Like the water, the whole purpose of the colon cleanser is to remove the excess toxins in your body. I would suggest doing this in combination with drinking a lot of water! As your body eliminates the waste you will loose a lot of liquid hence why I always overcompensate with… more water. Whatever you do, DO NOT USE A CHEMICAL LAXATIVE. I have made this mistake before and I promise you, you will be sorry you did. They are entirely too harsh on your body and leave you in a lot of pain. 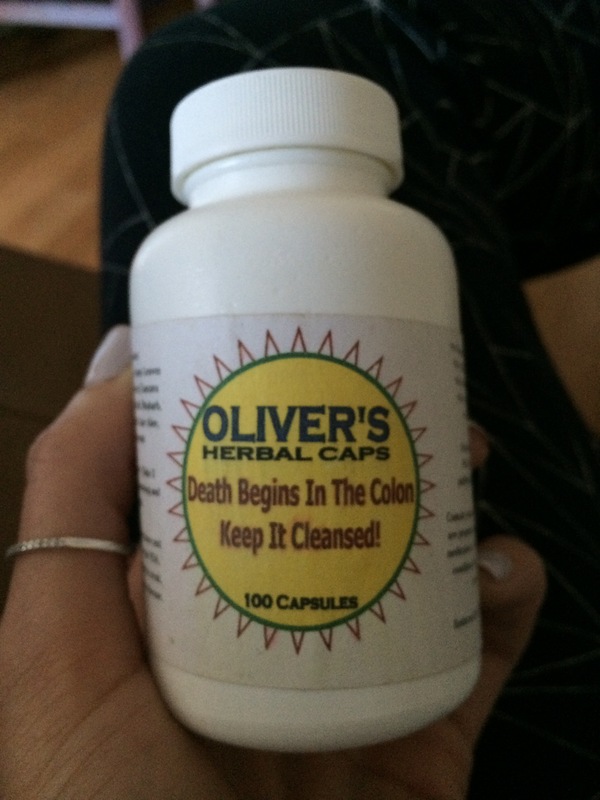 I suggest a natural colon cleanse like Oliver’s Herbal Caps. This is a great thing to do to kick start your process however it is not intended for long term use. I used the cleanse daily for 2 months. After the first two months I would suggest reducing your use of the cleanser to one week of the month. I usually do the last week of every month. You don’t want to overdo it with the cleanser as you do not want to loose too many of the good bacteria and other things that reside in your gut. In order to counteract this you have to actively stay hydrated and replace all the good bacteria in your bowels by eating foods that are ‘probiotic foods’. I eat a lot of yogurt – this also acts as a healthy alternative snack! For those who don’t like yogurt you can always take a probiotic or eat other foods like Miso Soup, Pickles, Tempeh (a soy alternative to Tofu), Soft Cheeses like Gouda and on cheat days Sourdough bread! LOCAL FOODS ARE YOUR FRIENDS! Eating locally and organic anywhere in the world is better for you but it’s particularly easy in Nigeria! Eating Nigerian food is so much healthier for you than one would imagine; the way we consume our food is where the problem lies. Staple Nigerian soups are healthy as they usually contain all the vitamins and proteins you need from the vegetables and meats. We also use Red palm oil (the good one, not to be confused with Palm kernel oil – the bed one) to make our food, which is packed with Vitamins A & E, has the same health benefits as tomatoes and carrots and does not contain cholesterol. The food is usually organic (if you are in America just buy from the organic section) and free of the hormones and chemicals you would find in your typical meal. Besides my substitutions of carbohydrates, I lived on a number of Nigerian soups without the swallow (or a small portion). The truth is no one needs to eat a massive bowl of eba or pounded yam along side their soup, but we do. Naturally, your stomach is only the size of your fist but overtime we have stretched them out. If you are one of those people that just has to have that amala once a day to survive, at no point should your swallow ever be larger than the size of your fist. Stick to this and you will see immediate changes. To say it is one thing, to do it is another thing. When I began this journey it seemed like a no brainer. You need to be healthier, done. You don’t want to get shingles again, simple. So that was my motivating factor. 2 months out, suddenly the memory of the pain of the shingles was fading and all of a sudden the pizza, Mexican, Chinese and everything else I shouldn’t be putting in my body was looking awfully good! This is where mentally I had to get it together and remind my self it was more than just being healthy and not getting shingles. I was 50 pounds overweight and it was affecting my body in ways I didn’t know until I started losing the weight! 10 pounds down and now I wanted to go on walks, I wasn’t oversleeping, I wasn’t as cranky and angry, I wasn’t as stressed out. ALL of these things became my new motivating factors to continue to loose weight and to maintain my new lifestyle (and the excuse to go shopping now that things were starting to get baggy). I’m also not going to lie and say my entire journey has been a healthy one! There were some days where my water drinking was so efficient I forgot to eat at all, or some days where I had to make a decision on which was more worth it – lunch calories or drinks at dinner calories? Sadly there were times where I took on the drink calories! Hahaha! With all of that being said, the effort required to loose weight the right way is worth it. I feel the best I have ever felt before and I plan on keeping a lifestyle rather than a fad. One year later and it’s still working pretty well! I’ve been told that 80% of the battle is in your diet. 20% is in the gym. I’ve got the diet part down so now it’s time to get my workout on! Watch this space to see what happens as I incorporate a new step into my lifestyle. 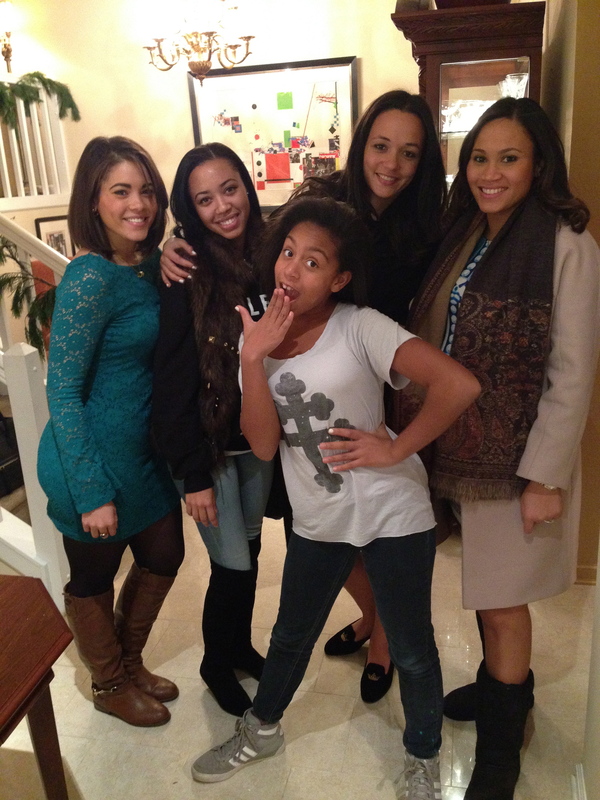 Thanksgiving November 2014 – Healthier & Happier! THE ULTIMATE CHEAT DAY! Exactly what I needed to stumble across and read today. Super helpful post. Sent an email. Please get back to me. Is there anyway to reach out to you directly to ask for personal advice on this process? Hi Kehinde, you can email me at oliviastrunkng@gmail.com with any questions you have! Always happy to help.